ROB ANDERSON, PRESIDENT, CONSTANT FIRE PROTECTION SYSTEMS AND ROGER D’HOLLANDER, CEO PAYBYSKY SHAKING HANDS ON CONTRACT SIGNING. Calgary becomes the first city in the world to offer an autonomous parking payment option. As of October 2016, motorists in Calgary are the first in the world to be able to pay for their parking using a fully-autonomous payment service powered by PayBySky technology. PayBySky uses a small in-vehicle device called a ‘Skymeter’ to pinpoint a vehicle’s exact location so it can then make an automatic parking payment on your behalf using Calgary Parking Authority’s ParkPlus account. ‘The Skymeter removes the hassle and headache of paying for parking,’ says PayBySky President Roger D’Hollander. ‘With the Skymeter, all you need to do is park your vehicle, walk away and let the system pay for your parking.’ PayBySky also includes handy additional features such as a trip log book, real-time vehicle location and driving behaviour analysis, which are especially useful for company-owned vehicles. 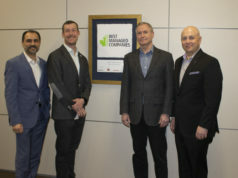 PayBySky’s technology works with Calgary’s ParkPlus System to remove the need for cash, credit cards or mobile phones to make a parking payment. All a customer needs for ultimate freedom is to install a Skymeter in their vehicle. 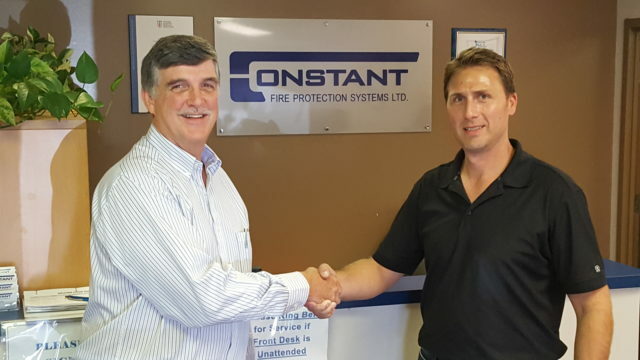 Calgary-based Constant Fire Protection Systems was the first customer to use PayBySky. Rob Anderson, President, commented: ‘This innovative service aligns with our strategy to use progressive technology to increase productivity in all aspects of our business’. Information about how to obtain a Skymeter can be found at www.paybysky.com.